Our haylage is grown and produced specifically for horses. Unlike silage, we grow for stalk and we wait until after the grass seeds to minimize protein levels. Unlike a lot of force grown haylage, our haylage can be safely fed ad lib to a majority of horses and ponies. Haylage is a wonderful forage for horses and ponies suffering from dust intolerance. Previously commonly known as COPD. Ad lib forage is important in so many ways. Horses are designed to graze for up to 18 hours a day, so feeding high nutrition haylage can cause obesity and its associated disorders, unless restricted. Our haylage is late cut, so you get the advantage of a sweet, palatable forage with no dust, and without the fear of over feeding. Horses are naturally designed to graze over many hours a day. Ad lib forage can greatly reduce stress in the stabled horse, and help reduce the incidence of gastric ulcers commonly found in competition, recreational and breeding horses alike. The grass is meadow grass, a mixture of ryegrasses, cocksfoot, red fescues, timothy, wild white clover and many more. It is softer so can easily be eaten by youngstock and veterans alike. Local delivery within a 5 mile radius is free for 10 bales or more. As with our small bale haylage, our large bales are made of late cut, meadow haylage. Sweet and dust free forage that can be safely fed to most horses and ponies ad lib. Local delivery within a 5 mile radius is free for all orders. WE CONTRACT WRAP SMALL BALES. 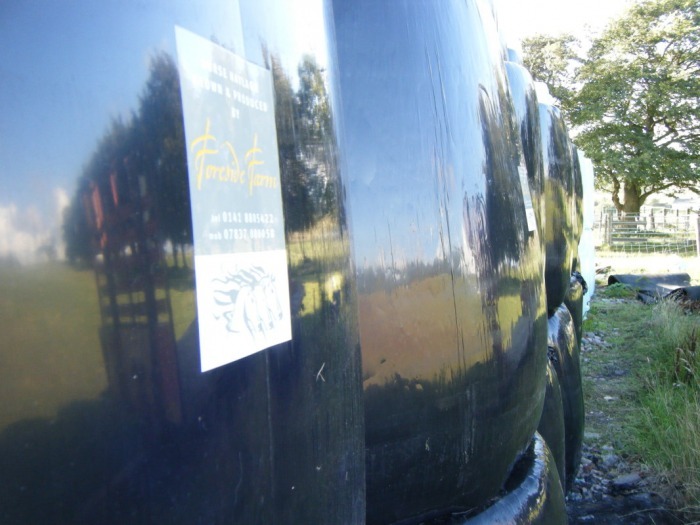 Here at Foreside we also contract out the small wrapper, tractor and operator to local farms and small holdings. 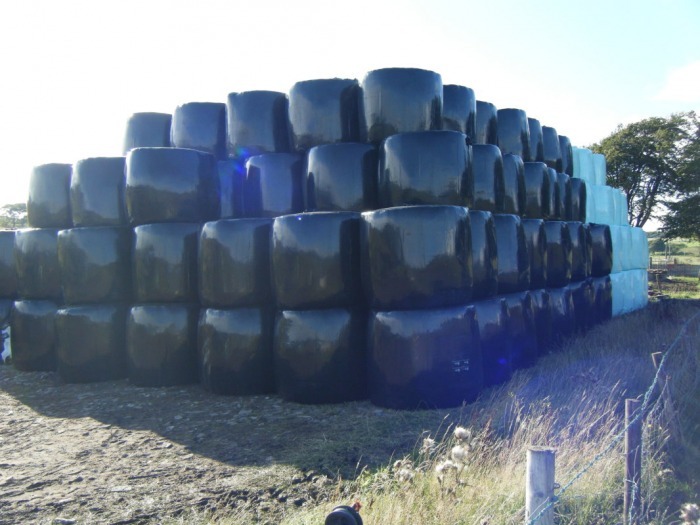 We are happy to wrap small or large numbers of bales, and we pride ourselves in reliable friendly service. 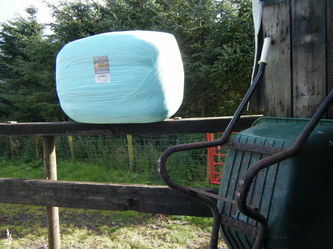 If you've thought of making your own small bales. Contact us for estimated dates and costs.